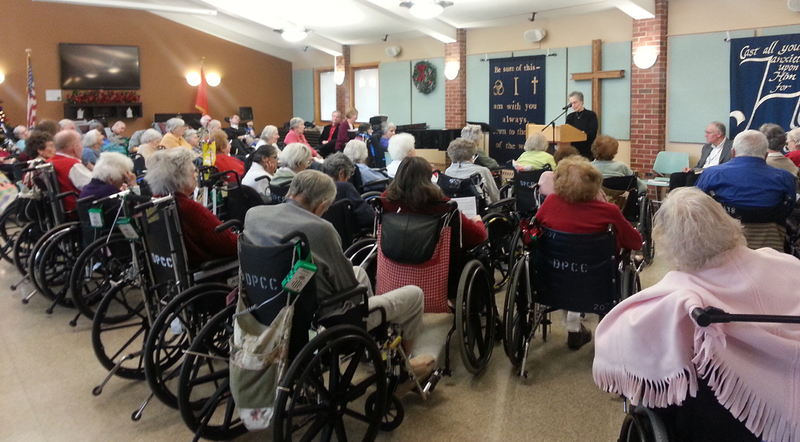 Good Shepherd’s ministry, Shine, serves at DuPage Convalescent Center the fourth Sunday of each month by assisting wheelchair-bound residents to their worship service. The DuPage Convalescent Center provides quality long-term care as well as short-term rehabilitative services to DuPage County residents in a professional and cost effective manner. The center administers those interventions of treatment, therapy and activity which restore health, dignity and hopefulness to residents, by assisting them to do as much as they can, as well as they can, for as long as they can. There is no limit to the possible innovations in these treatments, therapies and activities. When appropriate, residents return to their homes and the community. If you are interested in serving others through this ministry, please send us an email.